Supporting asylum seekers over dinner through the celebration of food and culture. Tamil Feasts is introducing FRIDAY NIGHT FEASTS at the Merri Table and you're invited! 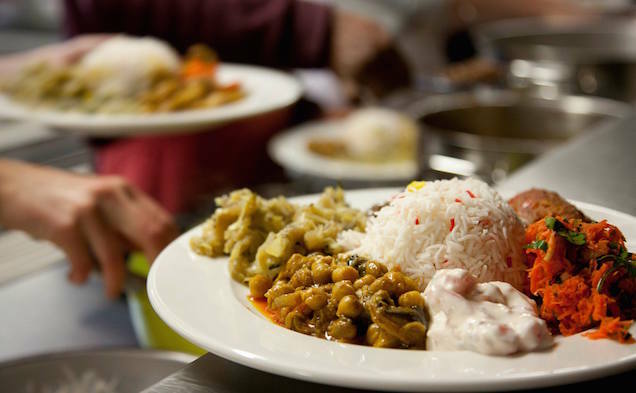 Tamil Feasts is a social enterprise that provides employment for recently settled asylum seekers. Each week the team serves traditional Sri Lankan banquet dinners at CERES, located in East Brunswick. Our Friday Night Feasts won't be like our usual feasts. Each Friday we will have a special menu item to tantalise the tastebuds. The menu will feature a fish/meat main, vegetarian and vegan options as well as kid friendly dishes. There will be a bar available on the night. So come finish off your week with a glass of wine and a plate of goodness.